You can find photos from the event here and here. 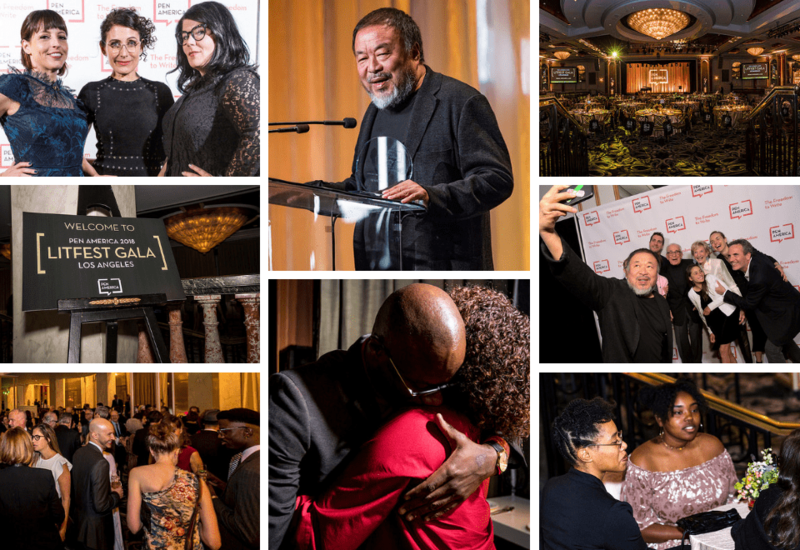 The PEN America LitFest Gala is a highlight of the Los Angeles literary and social calendars, with over 500 guests and an impressive group of leading writers and creatives who sit among them as Literary Hosts. Now in its 28th year, PEN America’s LitFest Gala is a celebration of free expression and the literary arts. Each year, the event brings together impassioned tributes, conversation, and levity before an esteemed audience of authors, screenwriters, producers, showrunners, executives, philanthropists, actors, and devotees of the written word who share a commitment to the robust defense of creative freedom in Los Angeles and around the world. Proceeds from PEN America’s LitFest Gala support initiatives including: advocacy for writers, journalists, and artists threatened or imprisoned worldwide; landmark research that addresses critical free speech issues; and the advancement of literary excellence and cross-cultural exchanges through hallmark initiatives, including the World Voices Festival of International Literature, PEN America’s Literary Awards, and fellowship and grants programs. Recently honored luminaries and participants include Roxane Gay, Isabel Allende, Jose Antonio Vargas, Margaret Atwood, Janet Mock, Norman Lear, Guillermo del Toro, Amber Tamblyn, Aisha Tyler, Amy Poehler, and Cecile Richards. PEN America’s Artistic Expression Award honors an individual who embodies achievement in artistic expression and the exercise of creative freedom. PEN America’s Distinguished Leadership Award honors individuals who have made extraordinary contributions in furtherance of PEN America’s mission to celebrate and defend freedom of expression.